I wish that all of the other hostels I have stayed in were as good as Reina Madre. When you travel for several months at a time, these differences become so importnant. Firstly, you have individual, rather than communal, showers and toilets. Secondly, you start the day with a proper breakfast. Thirdly, this is easily the cleanest hostel in which I've staghts you may wish tyed during the whole trip. Last but not least, the staff are excellent. Cool place to stay with nice staff. Only had one night unfortunately but no complaints. Located in between the tourist attractions in the center the bars and clubs in Palermo. Easy to take a metro to the center or go on foot if ready to walk a good while. Not a party hostel but good facilities to hang out. Secure and calm except for the poor soundproofing and loud door bell that might keep you awake at night. As a backpacker I appreciated the big lockers in which I could fit my entire rucksack. 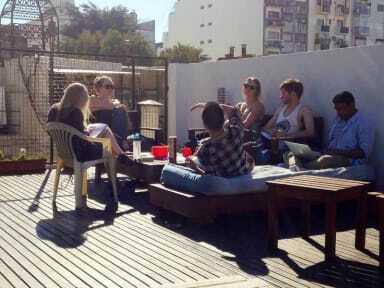 Nice staff that will help you with planning your stay in Buenos Aires. 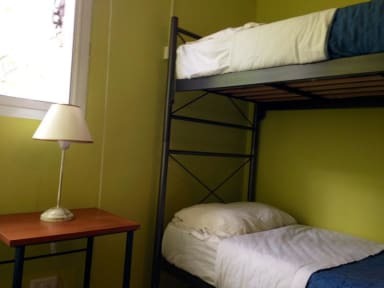 The hostel is perfectly fine if you’re looking only for a place to stay and leave your things. There wasn’t any atmosphere when we were there but the location wasn’t too bad. The breakfast isn’t very nice. It is only two cheap slices of toast and a really bad croissant. Nothing objectively wrong with this hostel: the rooms spacious, showers hot and all cleaned regularly. Breakfast is standard and the kitchen is adequate for cooking simple meals. There is however next to no atmosphere. Probably 90% of the guests we encountered where living here full time and we came across very few “backpackers”. The staff on the whole where friendly, however more often than not (in our opinion) the owner was not the warmest person and tainted our stay. Wouldn’t stay here again. Decent hostel but PLEASE FOR THE SAKE OF FUTURE GUESTS CHANGE THE DOORBELL!!!!!!!!!!!!!!!!! Super loud doorbell on a rotating queue of annoying chimes and jingles that resonates through the whole hostel and goes off at all hours of the night making quality sleep quite impossible. But the beds were at least clean if a little creaky, showers were hot, nice top patio and balconies, and well located. Good location and well priced for what you get. However the air-conditioning is shut off in the morning. This will not be an issue during the cold seasons though during summer this had resulted in the room heating up and everyone being woken up due to the heat.